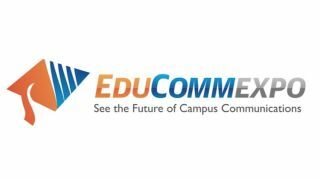 CorpComm Expo (CCE), co-located with EduComm Expo (ECE), has opened registration for both educational conferences taking place at Chicago’s Navy Pier, November 15 to 16. The educational conferences for CorpComm Expo and EduComm Expo will each be comprised of 12 general conference seminars and four free on-floor workshops with access to the trade show floor both days. Peer presenters and leading digital communications technology industry experts will lead the sessions. For more information or to see the full curriculum for CorpComm Expo 2016 and EduComm Expo 2016, go to: http://www.corpcommexpo.com or http://www.educommexpo.com. To register online for CorpComm Expo 2016 or EduComm Expo 2016, click here. “Conference attendees will not only have the opportunity to choose from a wide variety of essential topics designed to help them achieve their business goals, but also to attend the trade show floor to see demonstrations of the digital communications technologies that will enable them to pursue these initiatives and understand how to plan for, budget, and implement them,” said Chris Brennaman, conference manager for Exponation, which produces CorpComm Expo and EduComm Expo.